I'm looking for a suitable upgrade from Telecom broadband. I'm on one of the older plans that they don't offer anymore, the one with no data cap, I forget the name. I use an old Alcatel ADSL connect modem if that helps. Anyway I've grown tired of the slow rate at peak hour (around 8pm at night), which is when I use the net the most (gaming, music, videos etc). It can go pretty fast at off peak rates, like the morning and late at night, but I rarely use it then. Check out xnet www.xnet.co.nz They have Full Line Speed up and down and you can select whatever data cap you want. In your case 5Gb each month would cost you $55.07. Also if you use less than your data cap they only charge you for what you use so if you use 4.2 Gb you only pay for 4.2Gb. Also you can alter your data cap yourself online either increase it or decrease it to suit your budget. And notice that it's FS (Full Speed) in both directions. Whereas Xtra Explorer is FS Download but only 128kbps Upload. Full Speed Upload is very nice to have when you are sending large e-mail attachments e.g. Photos. 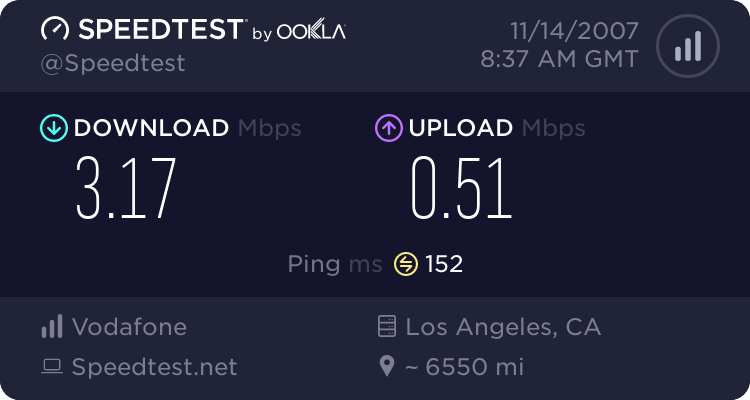 Given that Xnet Flood is only going to cost you $5 extra per month for 5GB (or less if you use less), AND you are still well within your $60 budget, it would seem a waste not to go for Xnet Flood with its Full Speed Upload capability. Thanks mate thats exactly the information I needed to know. I really didnt want to stick with Telecom as their customer service seems to be just as bad as their product. Gave Xnet a call today, they were very helpful and their technician pointed out the pros and cons of switching to their company, even though the only negative was "you will still notice slower rates at peak hours, just a significantly less amount. P.S If you can be bothered the speedtest would be fantastic! Mco: P.S If you can be bothered the speedtest would be fantastic! Note that these were both taken at night during Peak Hours at 8:24pm and 7:37pm respectively (times above are GMT). I should notice a bit of an improvement then! Remember that Citylink (the network that the speed test is run off) and Telecom do not peer together, thus you'll see a dramtic decrease in speed when using the Welliington server. I think it is fairly short sighted (or that word starting with t) to group the performance of traffic managed plans to the non managed plans, like apples and oranges (there was a bit of this with Woosh and their managed plan recently). cokemaster: I think it is fairly short sighted (or that word starting with t) to group the performance of traffic managed plans to the non managed plans, like apples and oranges (there was a bit of this with Woosh and their managed plan recently). I've yet to see a 'unlimited' plan that has worked and/or lasted without you being asked to 'upgrade' to a metered plan.. going all the way back to 'jetstart' days..
Oh really? Struggling to do 15GB... usage meters be damned (picture below)! Face it, 'managed' plans have varied levels of performance due to shaping (hence all the ruckus about Go Large) however you certainly can pull down a lot of information on the cheap. However they are quite different beasts from plans that you actually pay for the data you use. I have no trouble downloading large files and iso's. I am on Go Large, but my actual usage has dropped dramatically since I lessened my interest in Linux. Given my current usage, I might go and investigate other plans - I havent looked at consumer BB plans for a long time, so dont know what the current offerings are!